This charming Rockport inn offers free Wi-Fi, oceanfront views, and individually decorated rooms that include a refrigerator. Owl's Head Lighthouse is 4 miles away.A work desk and a seating area are offered in each uniquely decorated room at Strawberry Hill Seaside Inn. An en suite bathroom that includes a hair dryer is also provided.Guests can swim in the heated outdoor pools or relax on the sundeck. A lawn area with lounge chairs is also provided. Schooner American Eagle is 2 miles from the Seaside Inn Strawberry Hill. 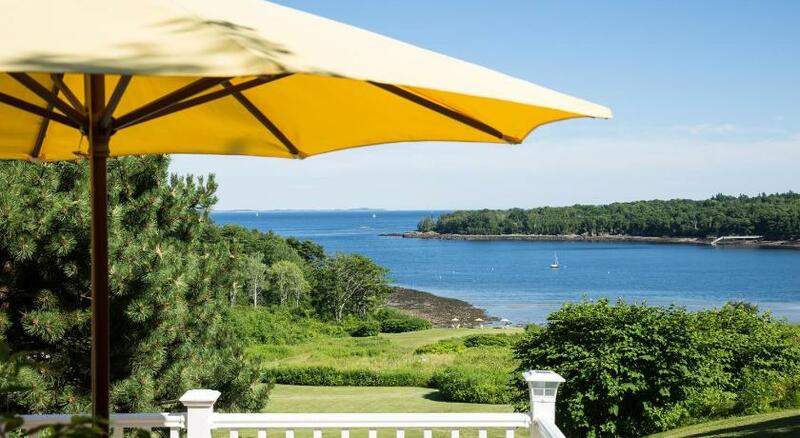 Rockland Golf Club and Samoset Golf Course are 5 minutes' drive away.